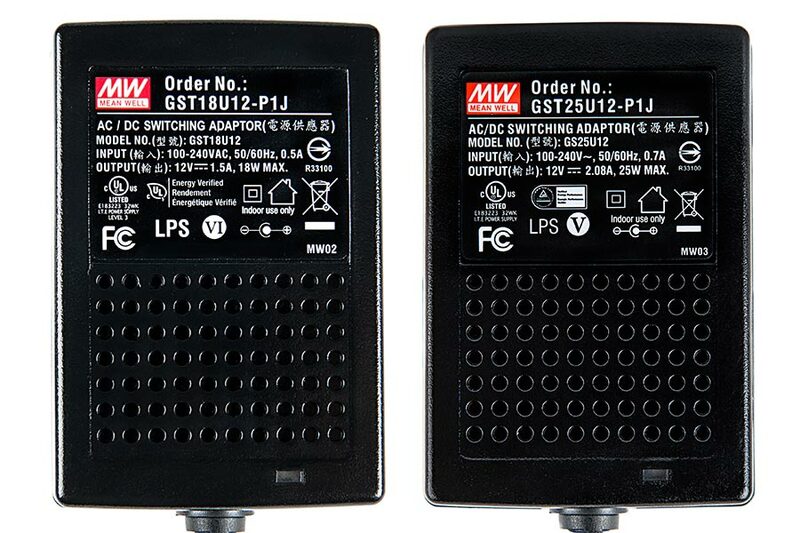 Wall-Mounted Desktop Power Supply - 12V DC GST Series: Shown Connected To LED Light Bar (Sold Separately). 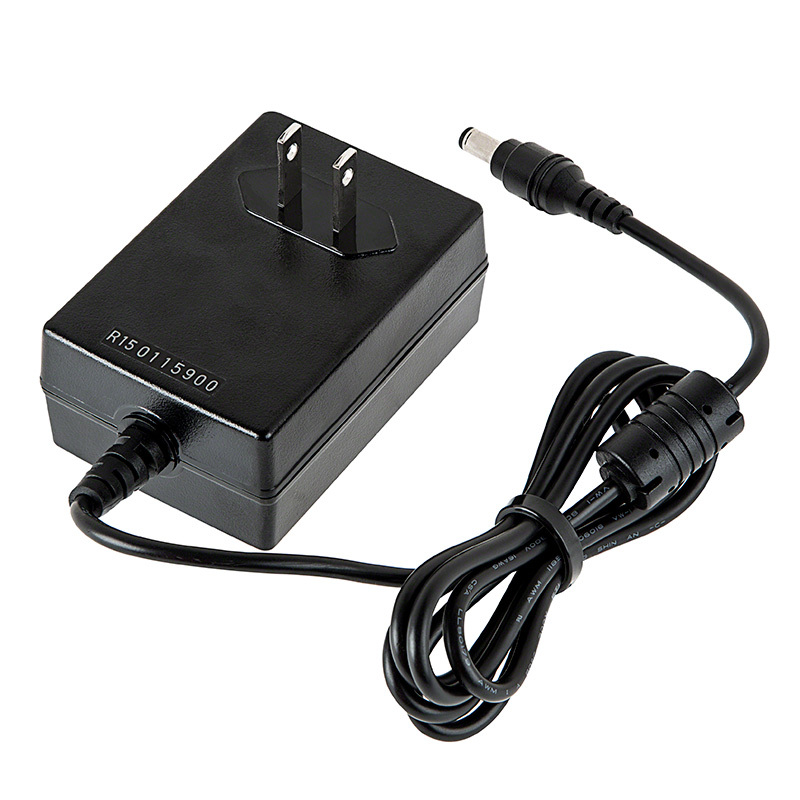 12V DC Wall-Mounted Power Supply. 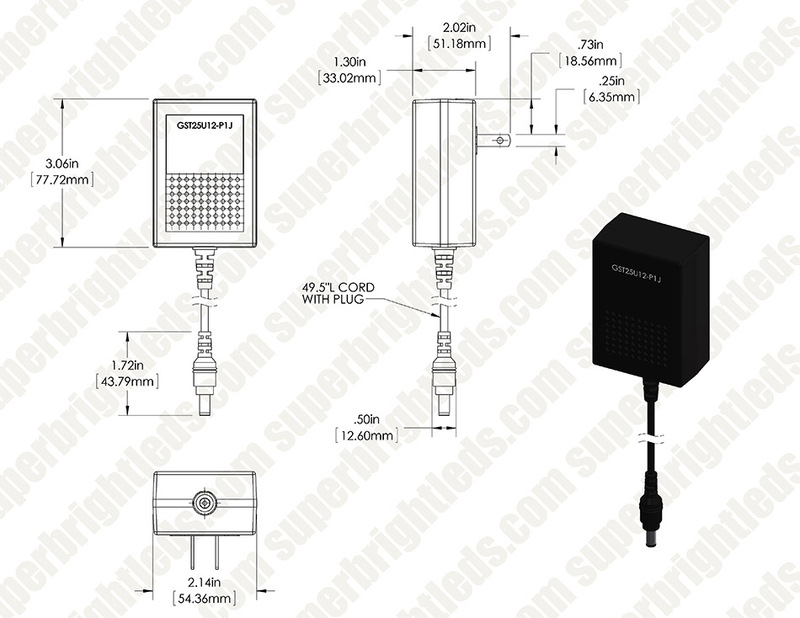 Input: 85~264V AC, output: 12V DC @ 0 ~ 2.08Amps. AC in and DC out cables. Class II. DC Jack is standard 5.5mm barrel connector. Available in 25 watt maximum. Made by Mean Well. Price for each. See similar Wall-Mounted AC Adapter - 12 VDC Power Supply - 12-36W. See our Power Supply Selection Guide. These are great plug and play transformers with LED lights. The only problem I found is that the cords are a bit short. Maybe an idea would be to sell the transformer and cord with different lengths of cord as an option. It does exactly as it was described to do. 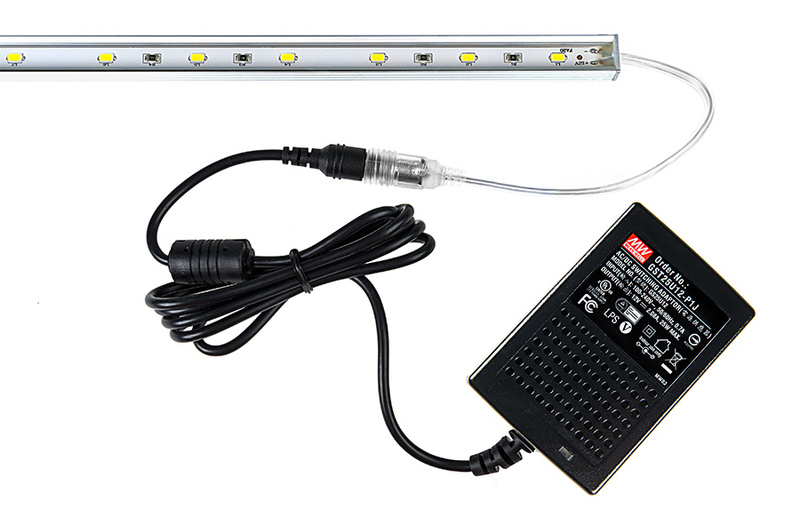 Works as advertised and provides an easy source of power for you lighting installations. Just used the calculator provided by the site to determine if it fits your needs.